MCR Safety's STSL t-shirts are ideal for those who need a light weight and comfortable high visibility option. Made of solid polyester jersey fabric, this shirt is perfect for all day wear. 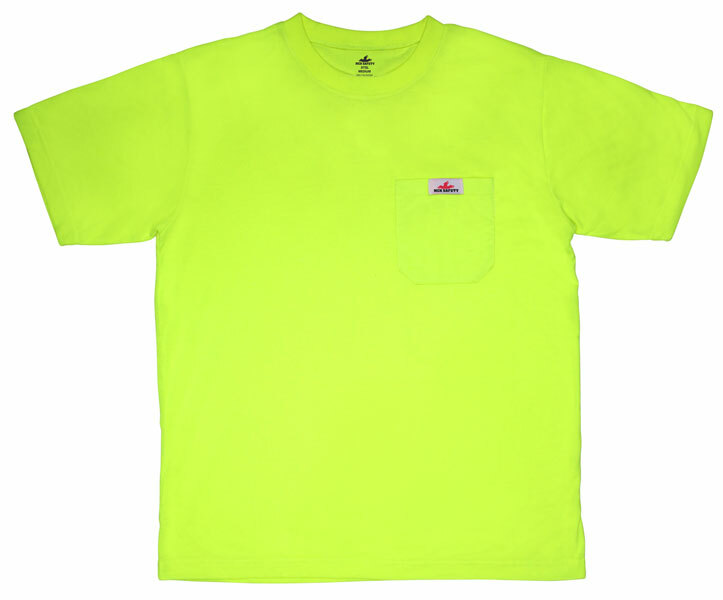 Other features include fluorescent lime material, left chest pocket, and is available in sizes M-X4. This t-shirt does not have reflective material so is a Non-ANSI rated shirt. Safety Vest, ANSI Class 2 & CSA Z96, 4.5" lime/silver reflective stripes, zipper front, 4 outer 1 inner pocket, Orange.